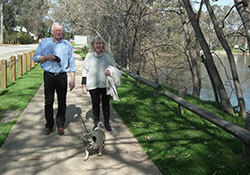 The aim of this project is to enhance the well-being of older Australians by improving urban parks. Accessible, attractive open green space provides a range of physical and psychological health benefits as well as providing a space for social interaction. While access to open space benefits all people, it has been shown to be particularly important for the health and wellbeing of older people in an urban setting. However apart from a handful of case studies, little research has been carried out to quantify and qualify open space in Australia. This project aims to address this gap, initially with a case study in Albury, NSW with partner David Armstrong, AlburyCity. Open space will be classified using Geographic Information Systems (GIS), aerial photography and groundtruthing. 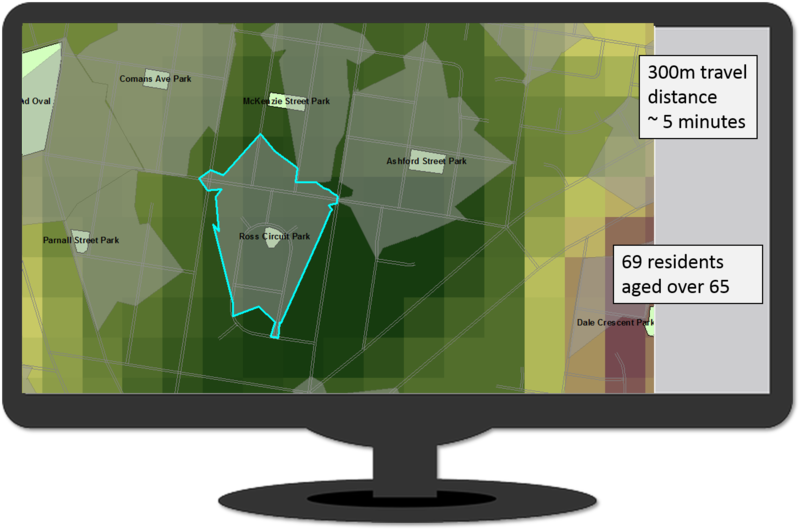 Attractiveness and accessibility for older people will be determined using spatial modelling and scenarios developed to illustrate the impact on the local communities of improving or modifying existing open spaces. AlburyCity will then be able to prioritise improvements with the greatest potential impact for implementation, in conjunction with existing plans and initiatives. The methodology developed will provide a rapid, robust and repeatable framework for identifying priority areas in urban green space development. The expected outcome of this project is a spatial tool to enable strategic planning of urban parks for older urban residents. 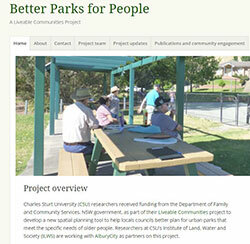 The tool will help local councils plan more strategically, and improve the development of new and existing parks.